Greenland’s spectacular, rugged and remote northern landscape offers visitors unparalleled wilderness and unique adventure, and the word is getting out. Interest in Greenland as a tourism destination has been growing steadily. And with this renewed interest, Visit Greenland – the country’s national tourism organization – must consider long-term impacts. How should a destination approach sustainable tourism to ensure that the right balance is taken between economic, environmental and social value? It’s a pressing challenge. Global destination marketers have identified four critical trends and 50 challenges impacting destination marketing leadership. Sustainability and profit factor heavily among them. In this Leading Thinkers series (featuring the insights of those who participated at Destination Think! Forum 2016, we have invited Visit Greenland Managing Director Anders Stenbakken and Anders Ullrich la Cour Vahl, Deputy Director, CFO – Statistics & Cruise to explain their organization’s key challenges and solutions. A couple overlooks Tasiusaq sheep farm in South Greenland. Destination Think! : You previously mentioned that developing sustainable, responsible tourism is a major priority for your work in Greenland. When you think about tourism revenue and growth vs. sustainability from an environmental and social perspective, what do you think are the key challenges that our industry will face? Anders Stenbakken and Anders Ullrich la Cour Vahl: As a rule, environmental sustainability is a high priority for operators in Greenland. We see a growing demand from the industry for guidelines. With increasing tourism and a vulnerable natural environment, we expect to see an increasing need for initiatives to ensure that our natural attractions will continue to be accessible in a way that ensures they will also be attractions in the future. We see challenges with regards to social sustainability, which to us entails a local value creation from tourism. It has proven more challenging to develop cultural tourism than to develop nature-based tourism. A main objective for us in the coming years is to work toward including the social-cultural dimension in the tourism experience without reducing it to folklore. To ensure coherence between sustainable tourism development and growth is, to a large extent, about the development of matching products and communication. There is no contradiction between adventure tourism, sustainability/responsibility and growth. For adventure tourism there is perhaps even a closer connection. 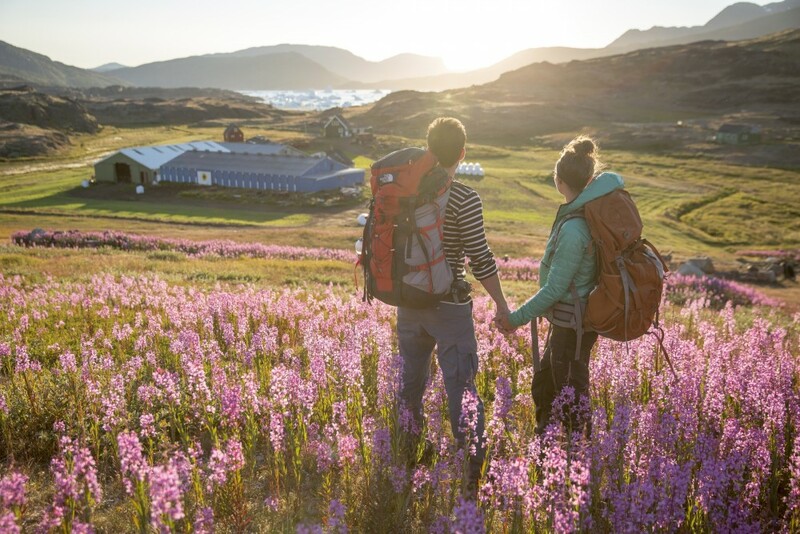 Since the natural environment is such an important part of the experiences offered in Greenland, how is your destination developing its tourism in a sustainable way? Greenland is still an emerging destination and welcomes relatively few visitors (46,000 land-based and 22,000 cruise guests in 2015). The majority of these visitors stay in a select few destinations. The relatively small numbers have allowed us to develop tourism in an organic way, without the massive – and in some cases intrusive – changes that have occurred in other destinations. However in recent years, we are seeing a change in tourism in Greenland, with more markets showing demand for Greenland, significant growth in tourism numbers and signs of pressure on our capacity during high season. We have seen signs of erosion at some natural attractions and historic sites. These issues have been countered by establishing boardwalks, adding signage to paths and routes and developing specific guidelines for selecting landing sites for cruise vessels. In addition, the newly passed law on Exclusive Rights to offer a Specific Tourism Activity in a Specific Area (Koncessionslovgivning) attempts to transfer part of the monitoring and preservation tasks to companies who have a clear commercial interest and responsibility for preserving the value of specific areas. Municipalities and the Greenland Government also pass management plans for specific areas and may establish temporary or long-term protection for vulnerable areas. In support of this effort, a primary task for us as a tourism board is to make sure the tourism industry is conscious of the importance of including environmental care and sustainability within companies’ daily operations and values. An equally important task is to communicate the standards and values of the industry to politicians and authorities, so environmental challenges can be solved together through best practices and guidelines, rather than seeing areas closed for tourism. For most adventure tourists today, preserving and protecting the natural and cultural environment is a matter of course and we expect this from our tourism operators. A company that fails to live up to these expectations may not only jeopardize its own business but may also cause harm to the tourism industry as a whole. As a national tourism board, one of our core tasks is to ensure that tourism – to the extent it is possible – is spread between our five destinations. To achieve this, we have chosen to focus on the individual destination’s unique experiences and characteristics, and by extension, establish contact to agents with matching customer segments. How do you see DMOs’ roles in the travel industry changing in the next five to ten years? Greenland may be a bit special in this regard, as we are an emerging destination with a limited tourism sector and very few people to carry the development forward. We expect that our role as a DMO will be to continue to maintain and develop the overall brand of Greenland, to support our regions in developing strong regional sub-brands and regional iconic experiences and to produce state-of-the-art content on Greenland. Visit Greenland has been increasingly focused on producing and distributing our own content, both visually and textually. We see this production role as a logical next step and an extension of our national and regional brand developments. We also see the growing importance of documenting changes to tourism in Greenland and we continue to develop our tools for market intelligence. We will also place increasing emphasis on acting as a mediator to determine the best matches between local operators and tour operators in our markets based on a careful segmentation and mapping process. Lastly, we see an important task in advising and influencing the overall framework for doing tourism in Greenland in order to secure the best conditions to create value for the industry. What will be the impact on your organizational structure and capabilities? We do not necessarily see any need for greater organizational changes because today, Visit Greenland is organized by projects, with a very flat hierarchy and a high degree of independence for individual employees. This organizational structure has proven to be very effective, flexible and adaptive. We expect to strengthen our capabilities on the markets and on content creation, as well as continue to prioritize analysis and market intelligence in order to be capable of anticipating and responding to changes in due time. What are the other outstanding questions you and your destination face, and what do you think is required in order to deal with these changes? In coming years, the increase in demand and resulting growth in tourism in Greenland will demand our attention as far as how we can ensure local value creation. This will require action within the education system, adaptation by the local tourism industry, and a legislative framework that effectively supports the development of local tourism. For example, the current political decision on creating a new airport structure in Greenland will require a strong, coherent effort to establish the reasons to visit while building the adequate capacity around the new infrastructure. Tourism in Greenland today is highly centralized around a few destinations during the summer months, which places huge pressure on a limited capacity. It also means that in order to make investments viable, prices are quite high compared to similar products on other destinations. We need a two-pronged approach to increase viability and better use the existing capacity. One is to build up the destinations near the current tourism centres. This will help differentiate the tourist offering and distribute tourism across Greenland in the high season. The other approach is developing attractive offers for the shoulder seasons in order to lengthen the season. Both of these approaches should help us make better use of Greenland’s capacity.